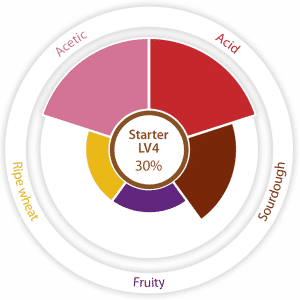 Starter use saves the baker from having to refresh a spontaneous sourdough developed using traditional methods. 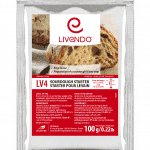 So to secure the same sourdough characteristics every time starting sour dough it´s prefer to used sour dough starter. 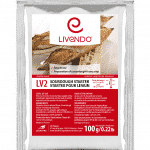 Sourdough prepared from a starter provides the same benefits as ‘spontaneous’ sourdough: it improves the taste, the texture of the crumb and prolongs the freshness of the finished products. 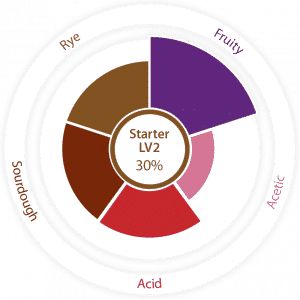 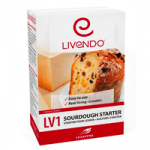 Live and active sour dough starter based on wheat.